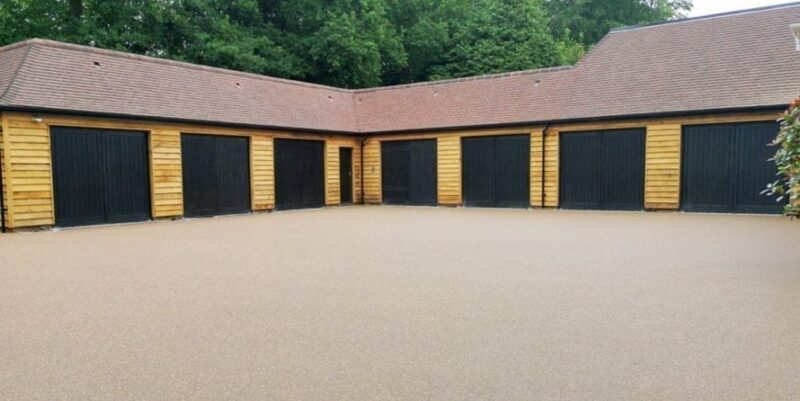 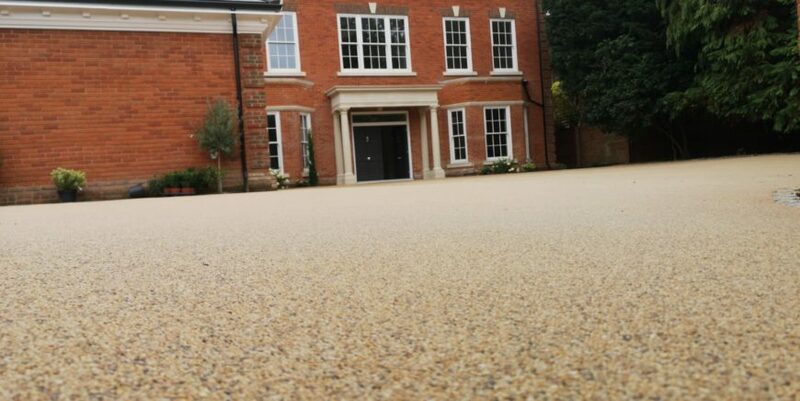 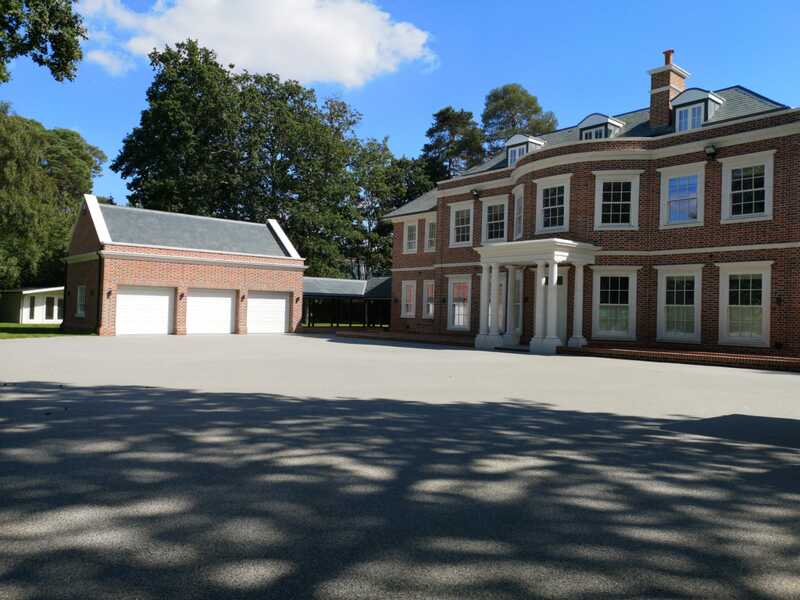 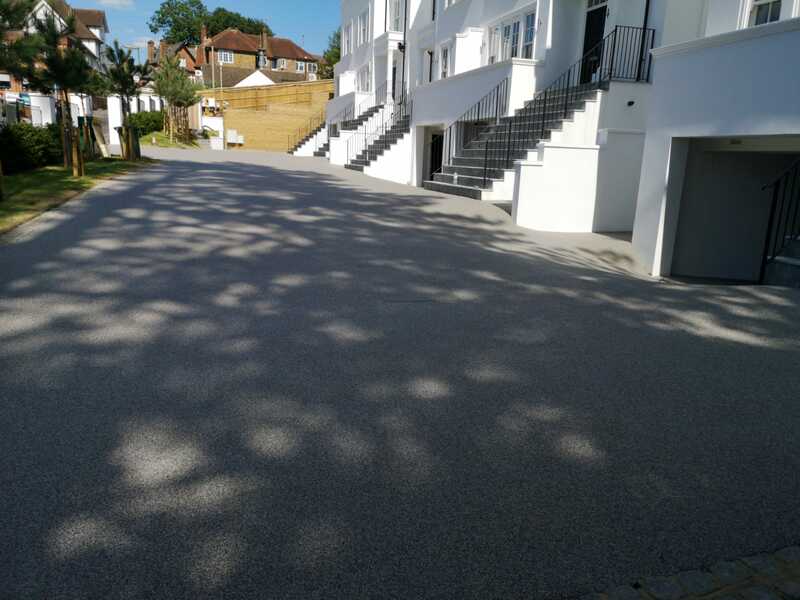 TTS Surfacing Limited are Surrey and south East’s number 1 choice for resin bound surfacing. 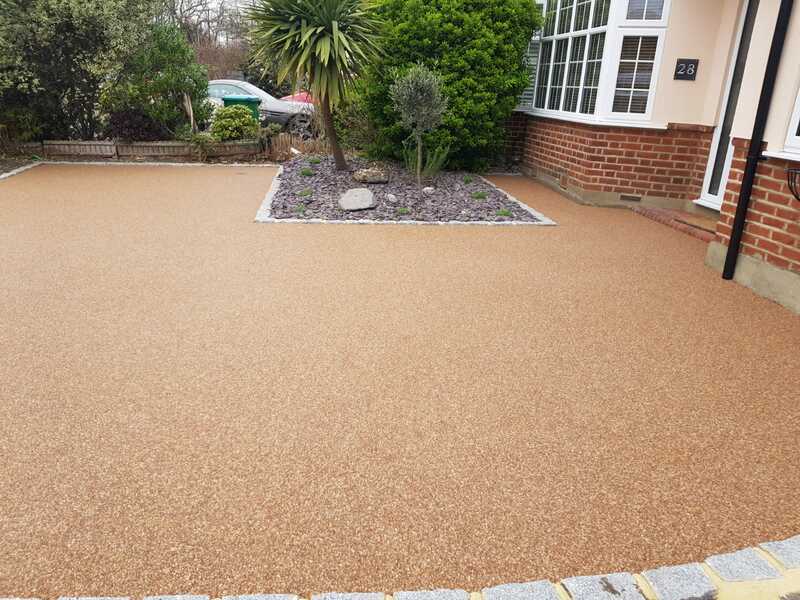 Resin bound driveways have become an increasingly popular alternative to the traditional tarmac or block paving driveways. 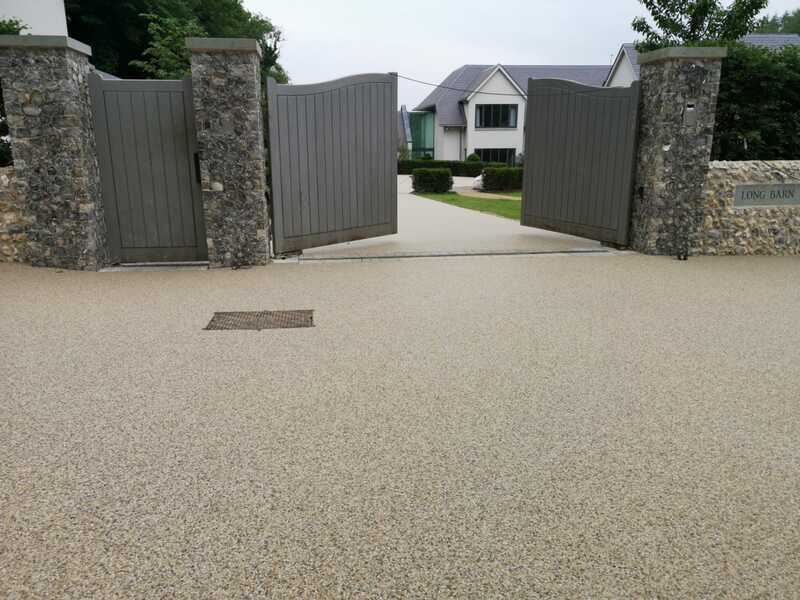 Resin bound driveways are extremely hard-wearing, this ever popular product is available in over a dozen different finishes. 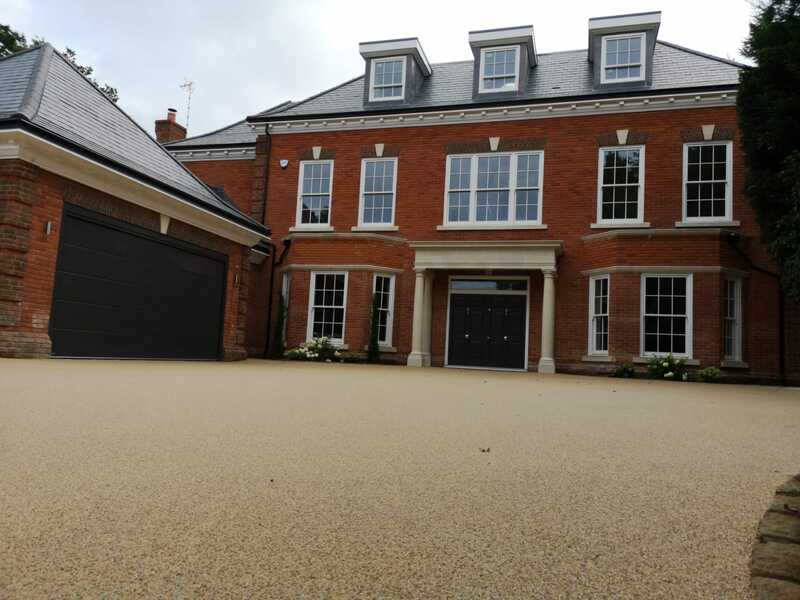 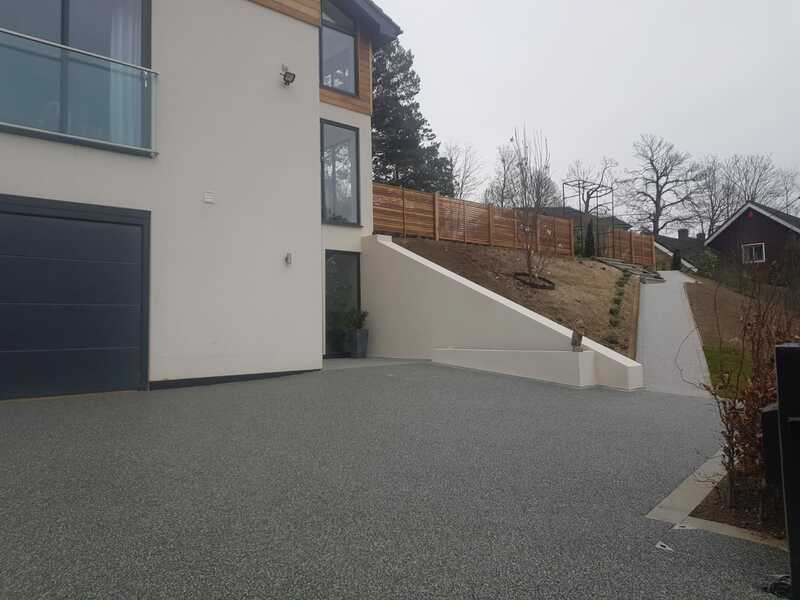 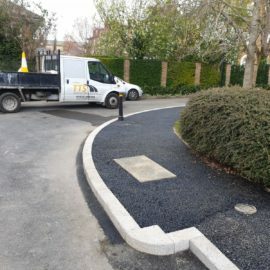 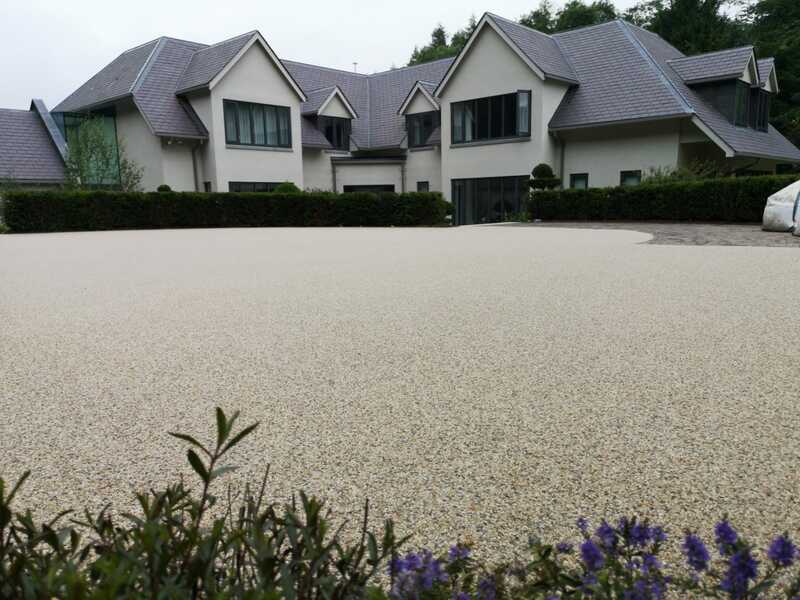 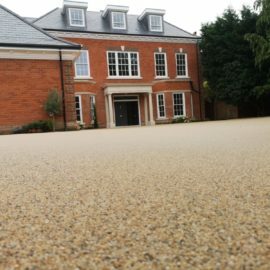 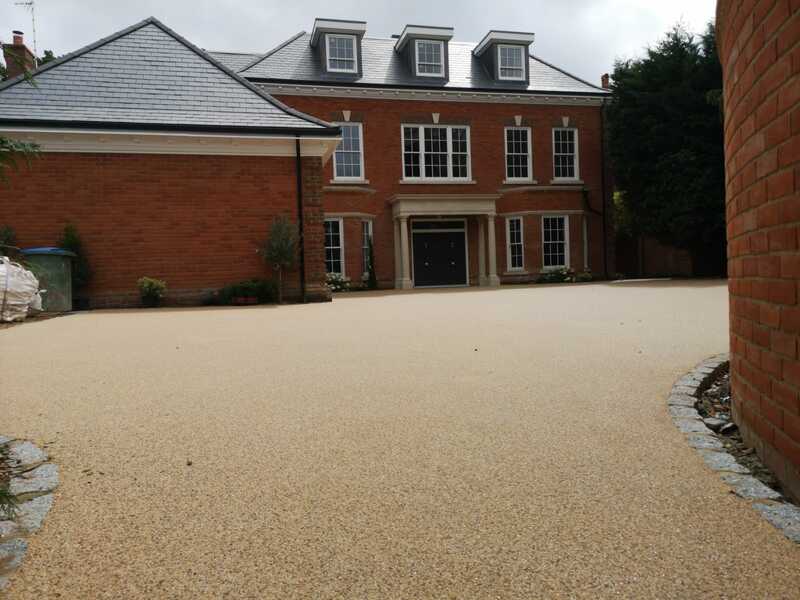 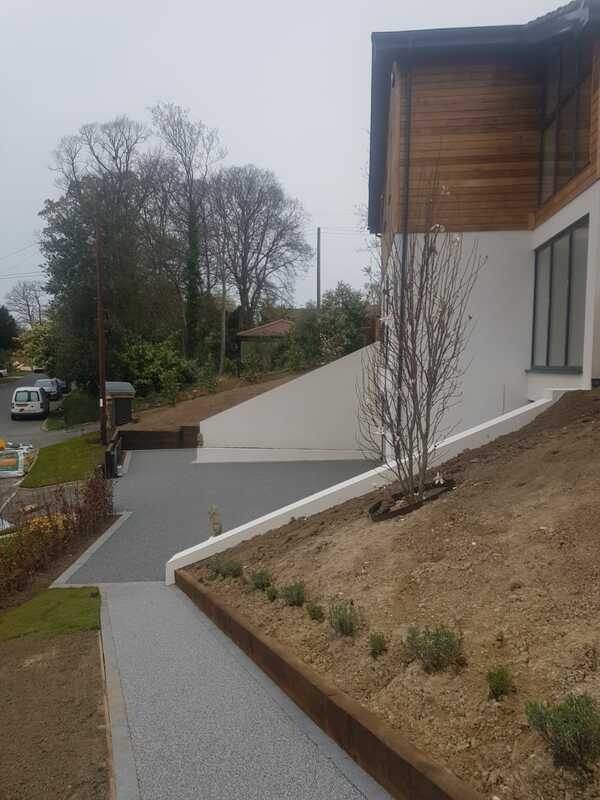 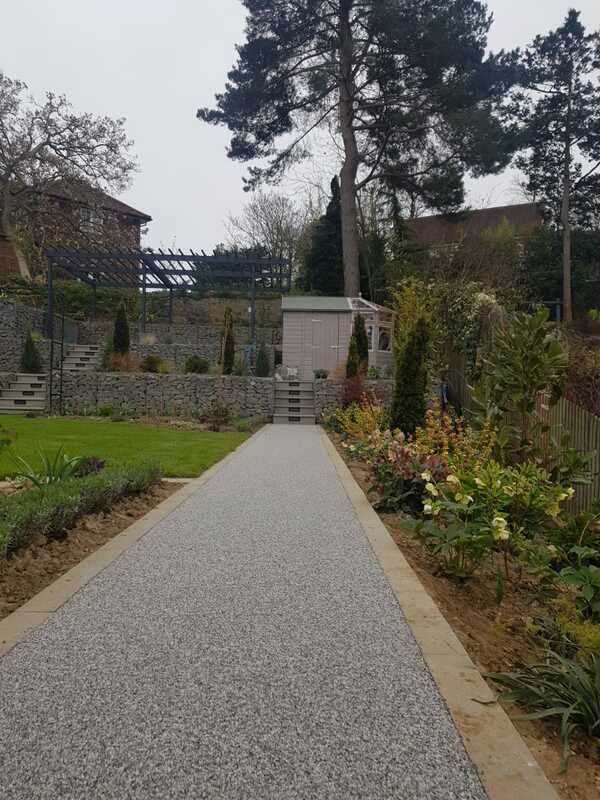 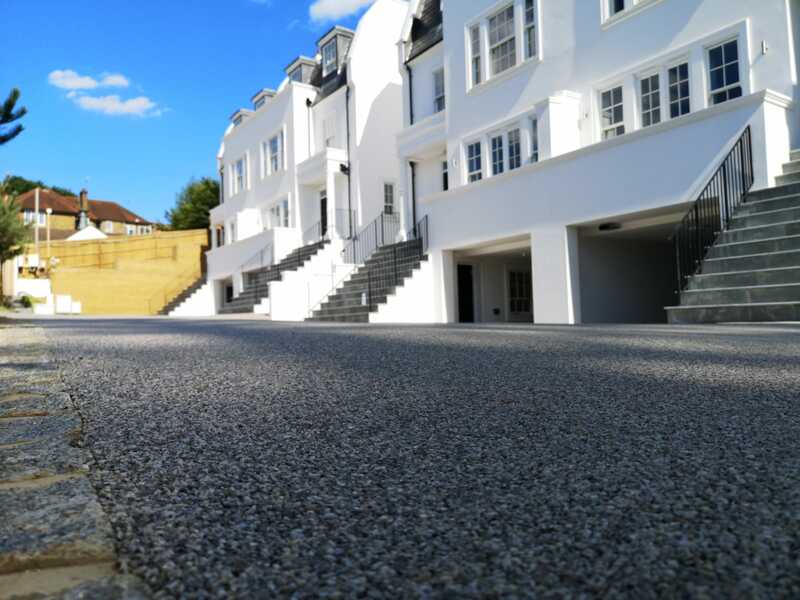 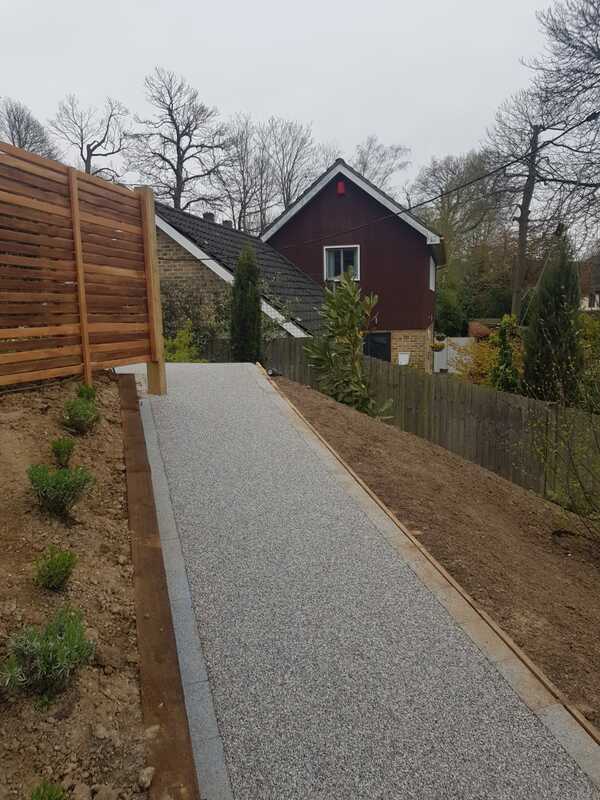 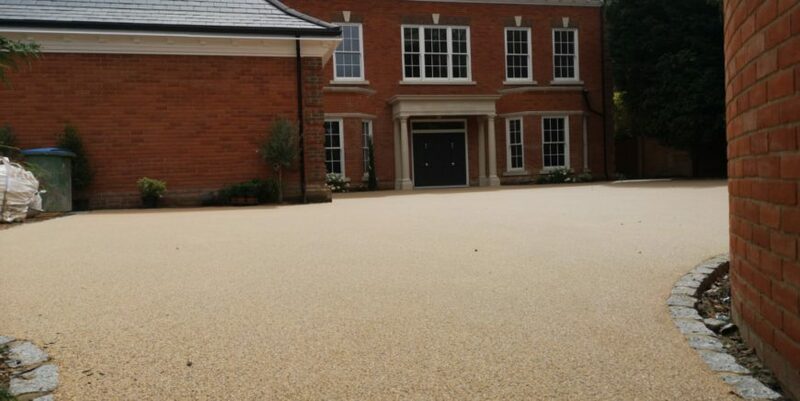 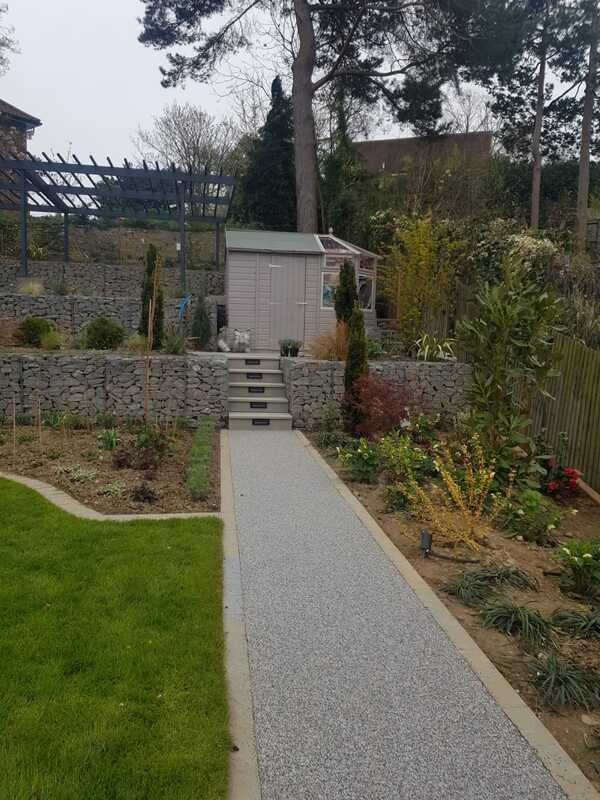 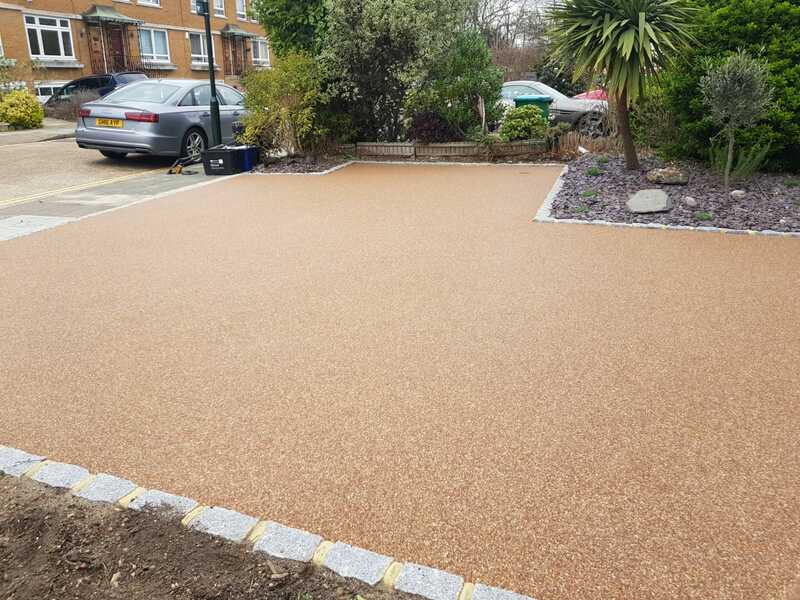 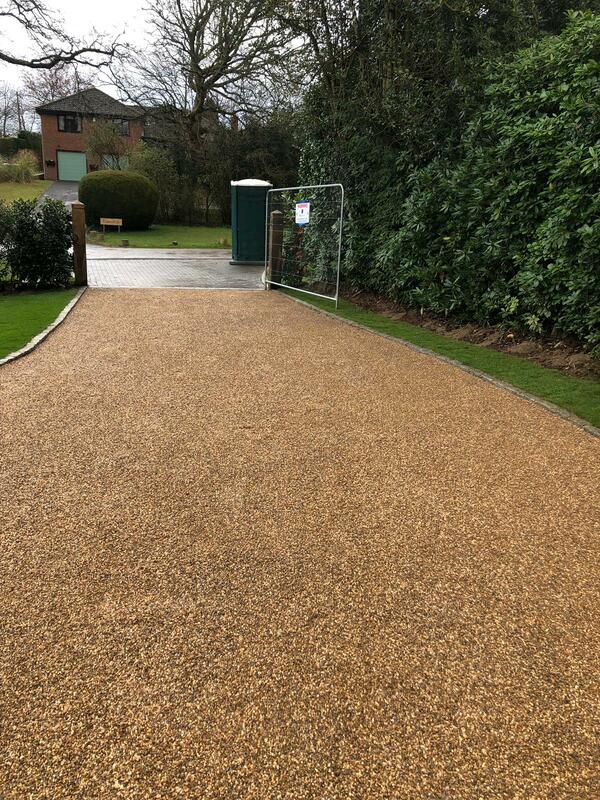 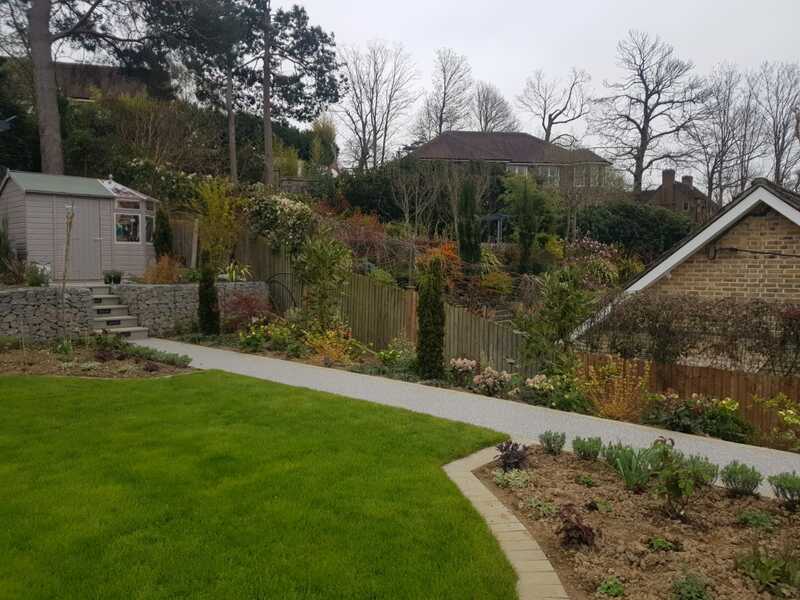 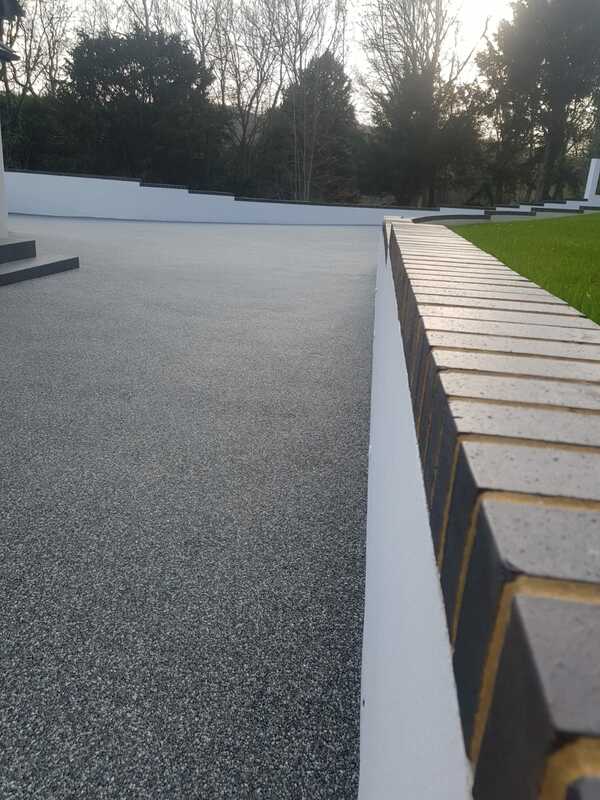 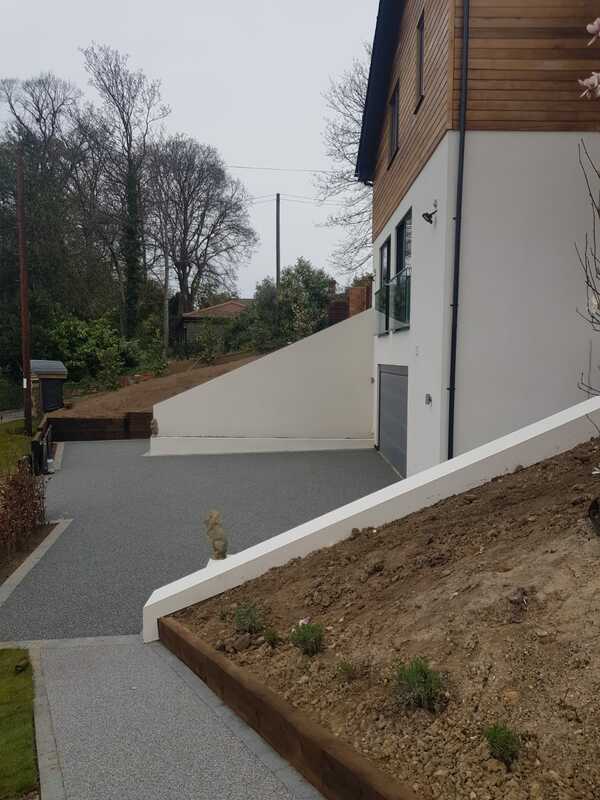 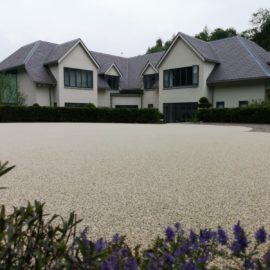 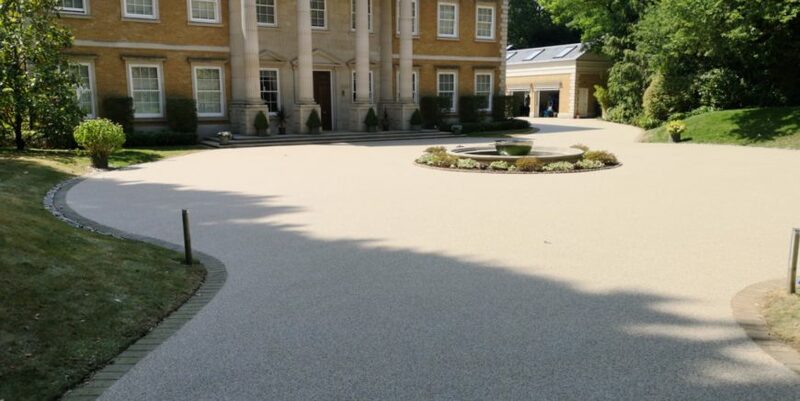 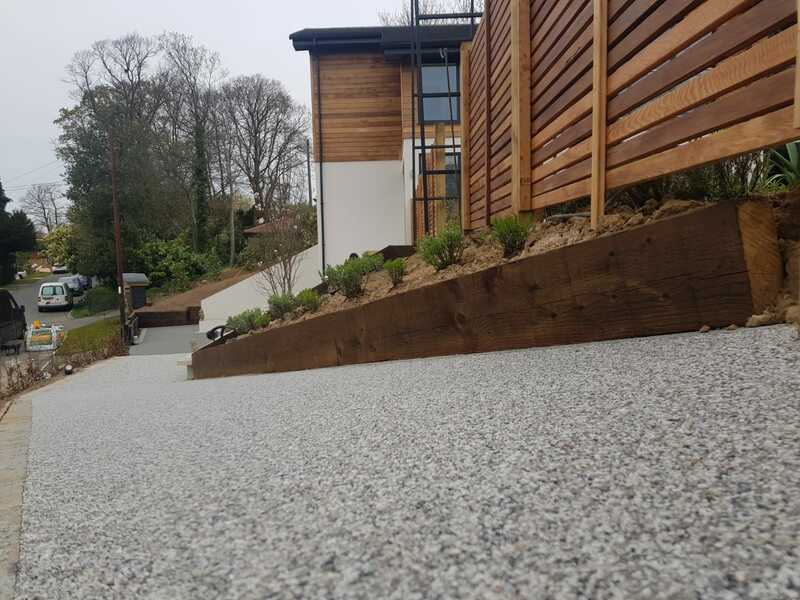 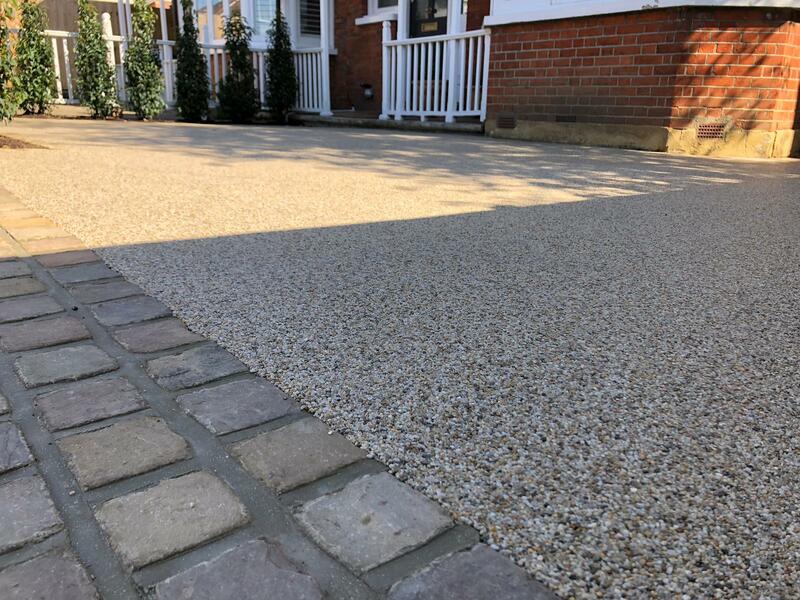 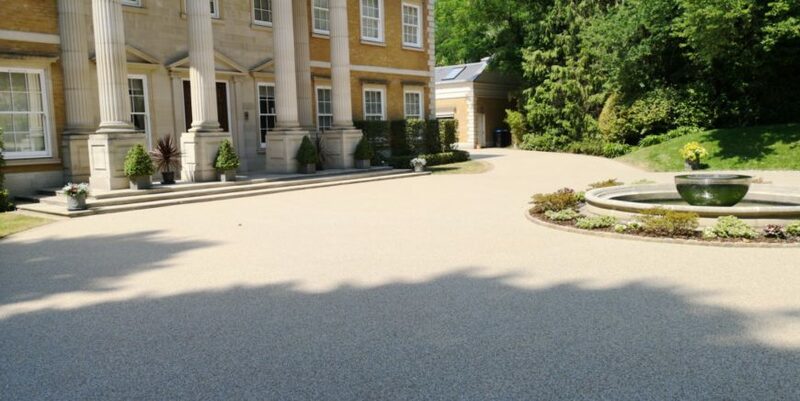 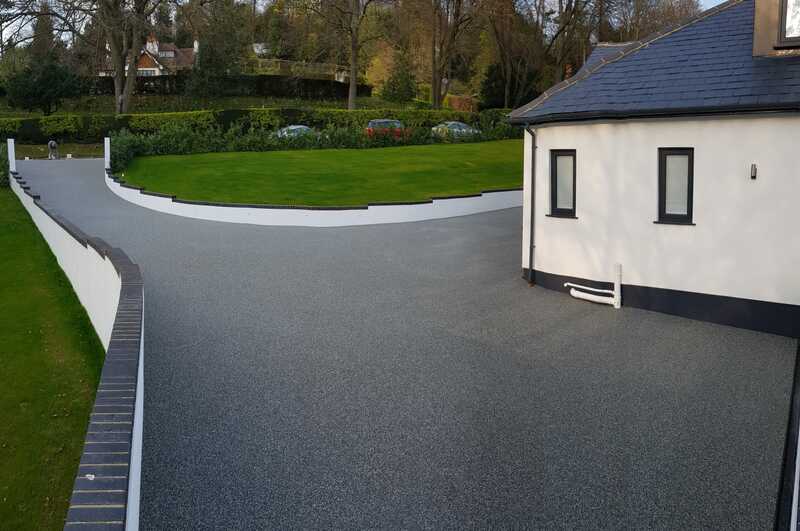 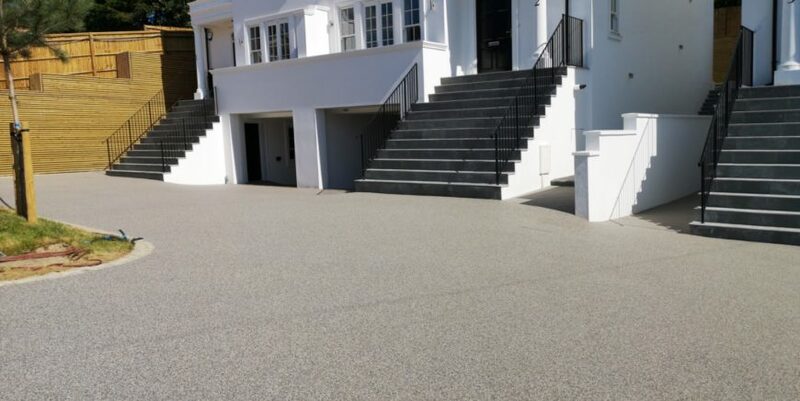 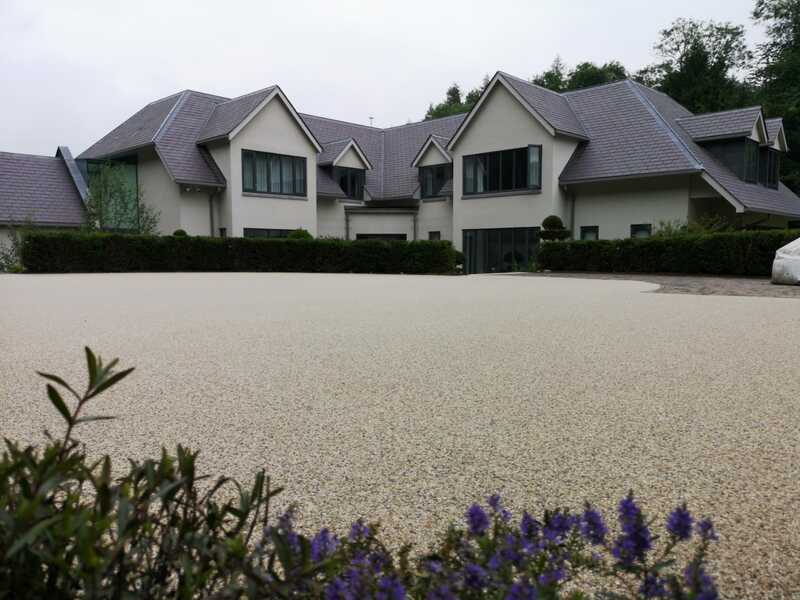 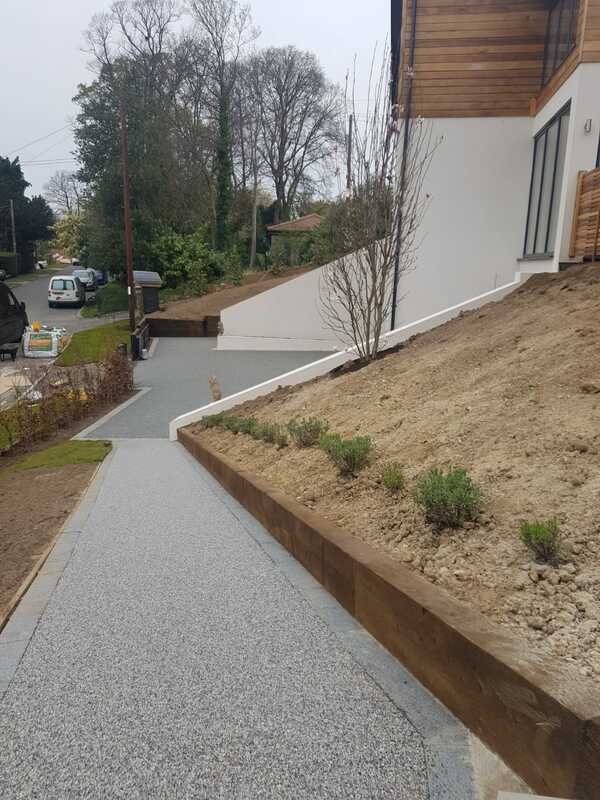 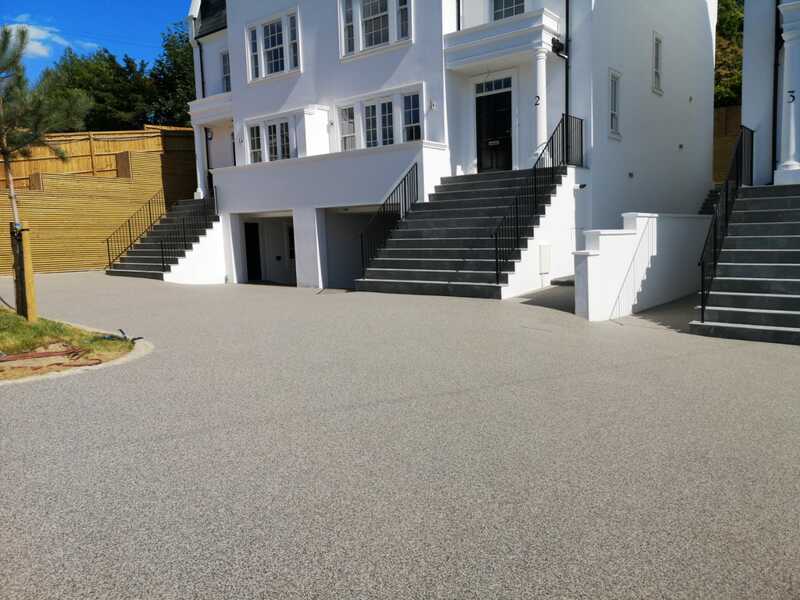 Resin bound surfacing is low maintenance, wheelchair friendly, highly permeable allowing rain water to drain through, easy to clean and UV stable – ideal for driveways. 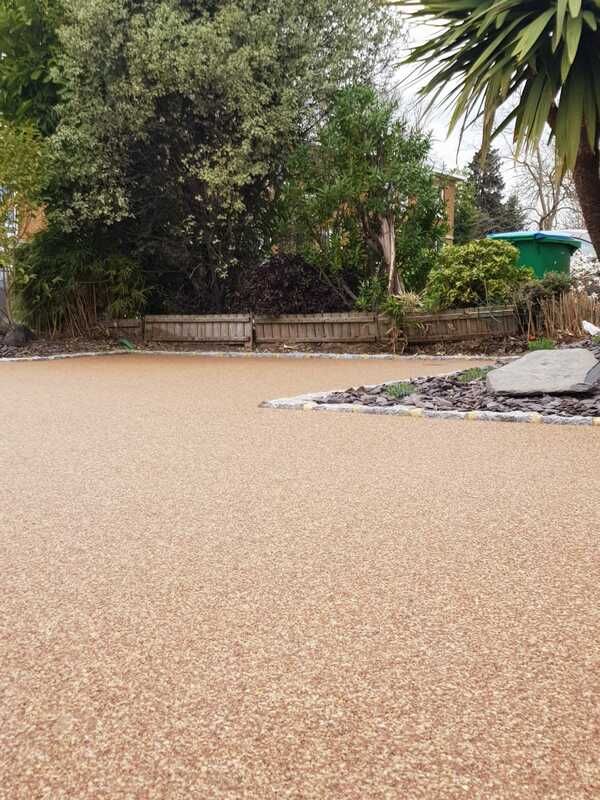 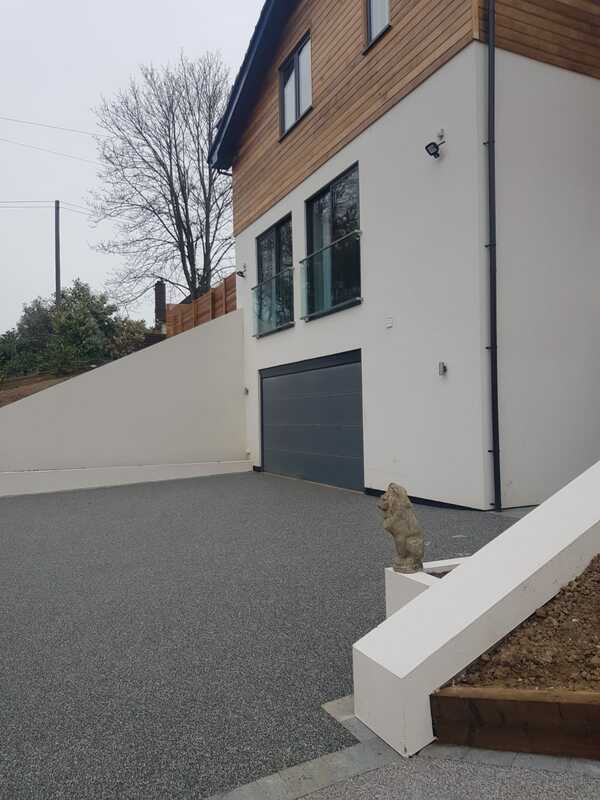 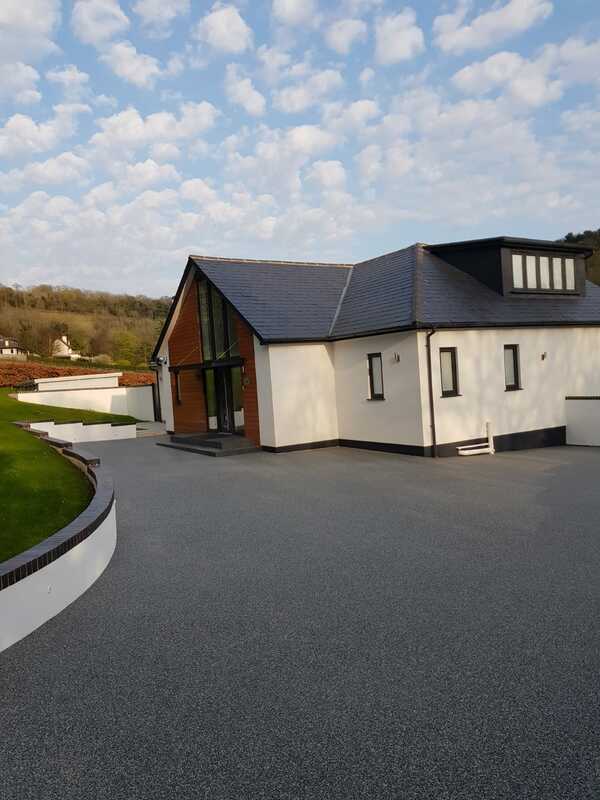 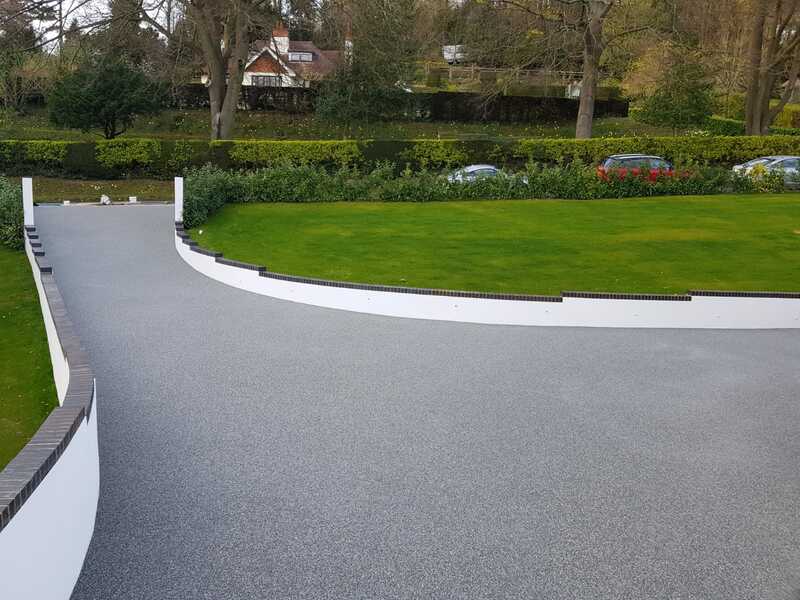 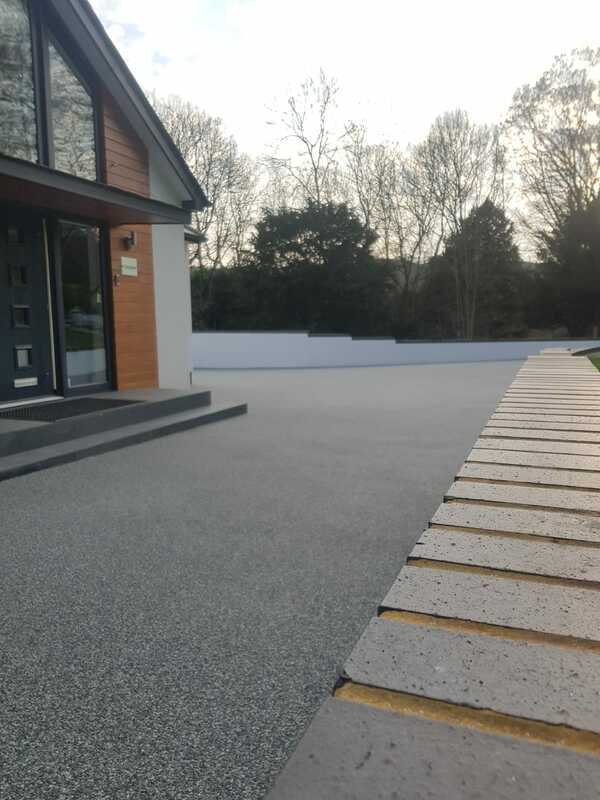 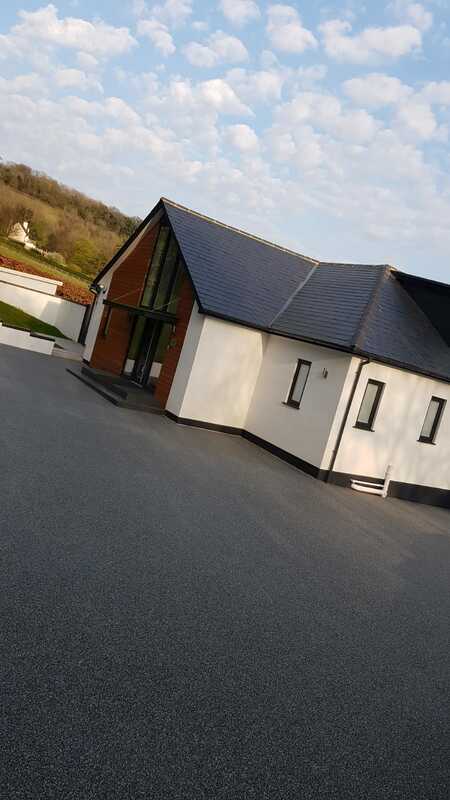 TTS Surfacing Resin bound driveways are available in a wide range of colours and can be laid over any existing surface and has all the beauty of natural stone. 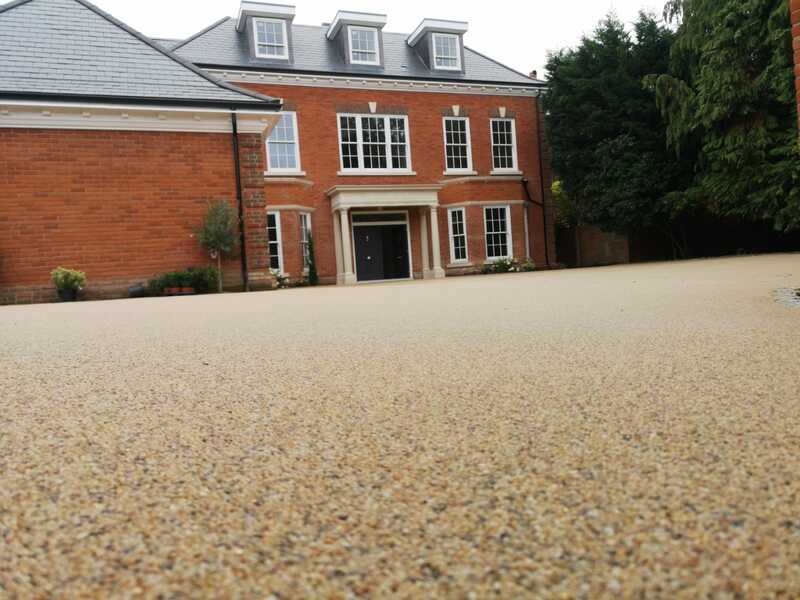 Inherently strong, the finish adds stability to any surface. 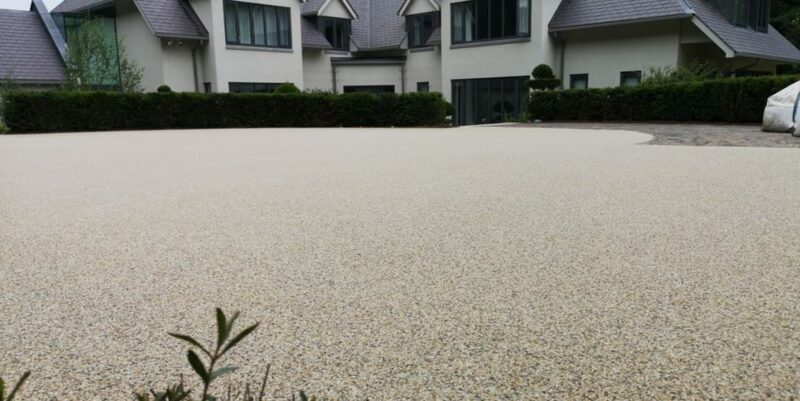 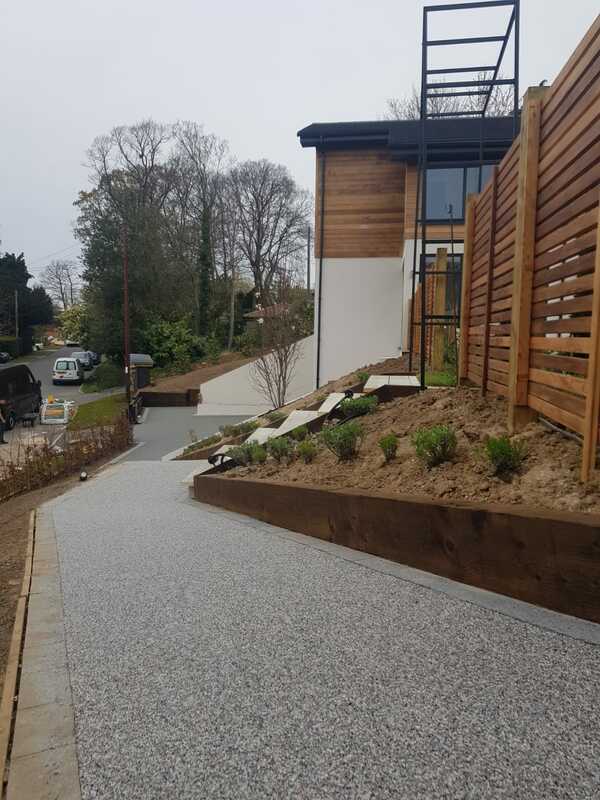 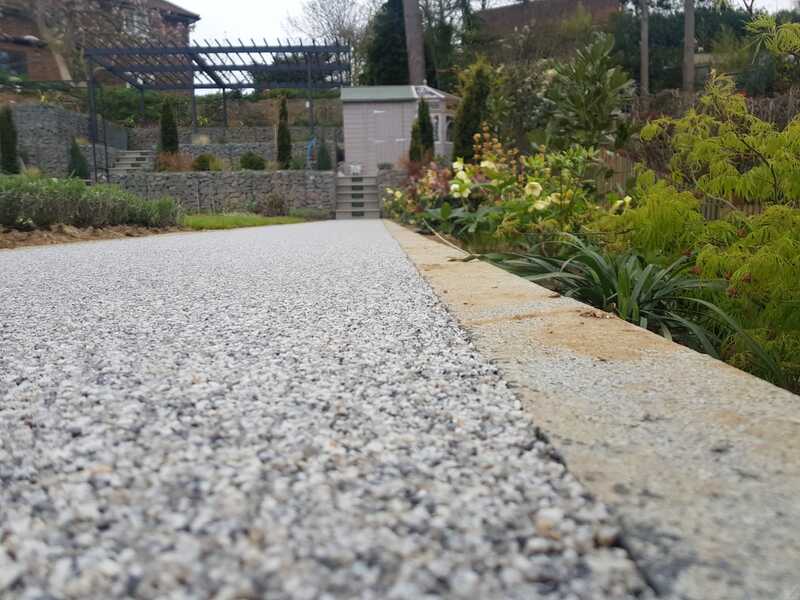 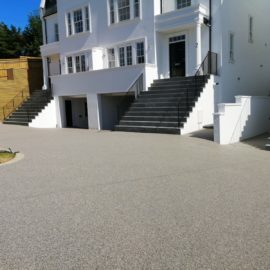 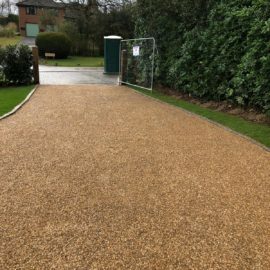 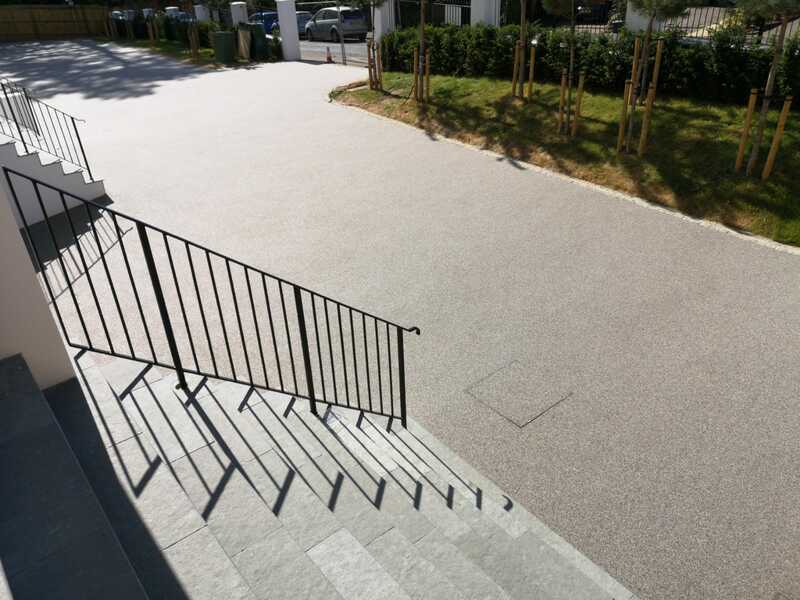 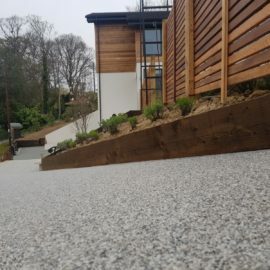 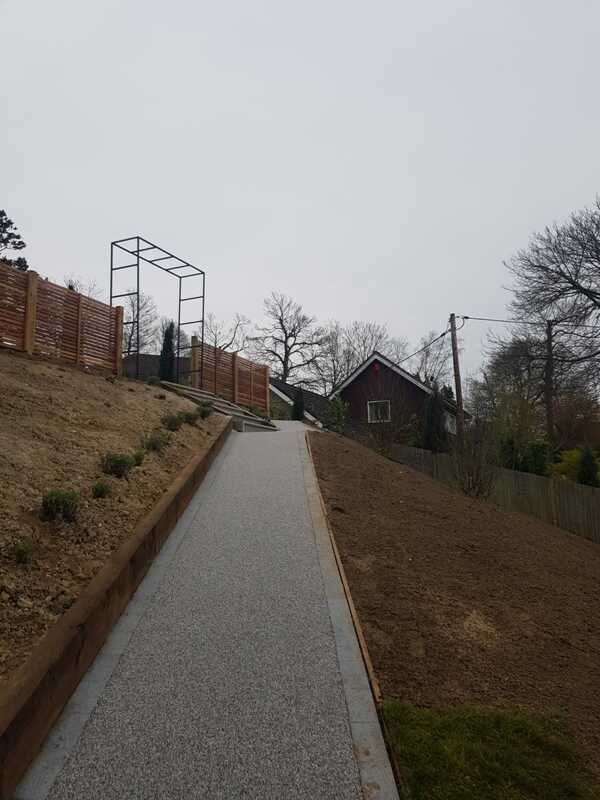 The advantages of a resin bound surface’s are anti-slip, highly permeable allowing rain water to drain through, low maintenance, wheel chair friendly, highly decorative and durable. 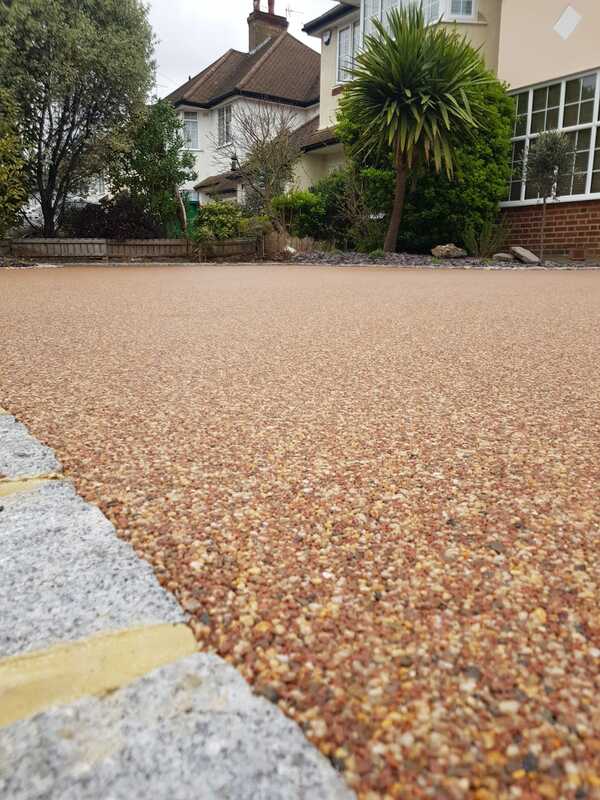 TTS Surfacing Resin Bound Driveways have a manufactures guarantee, which makes choosing this type of driveway probably the best long lasting. 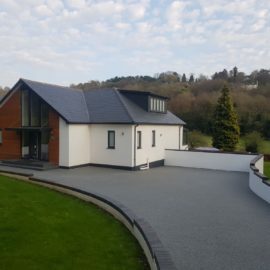 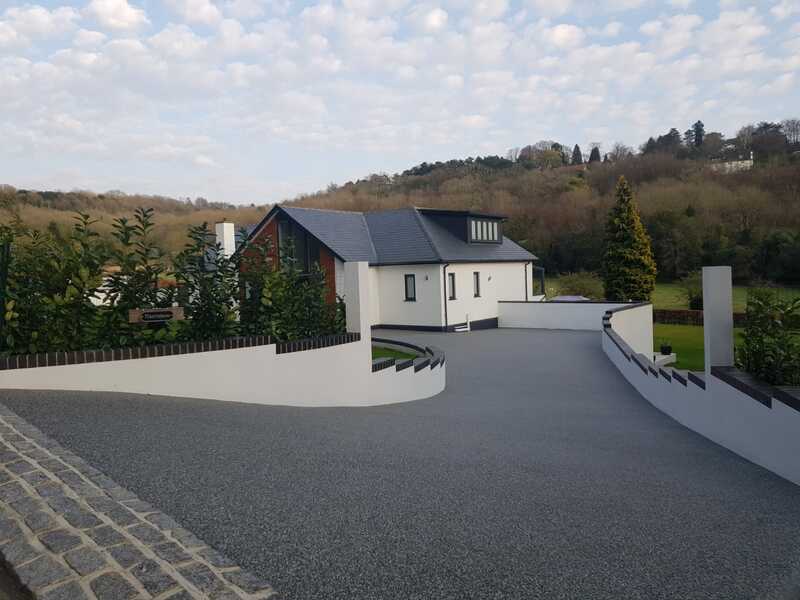 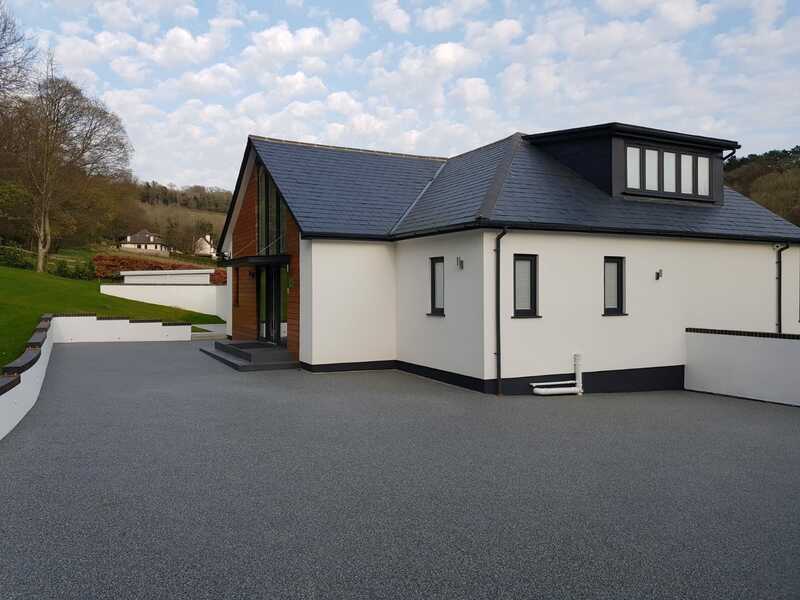 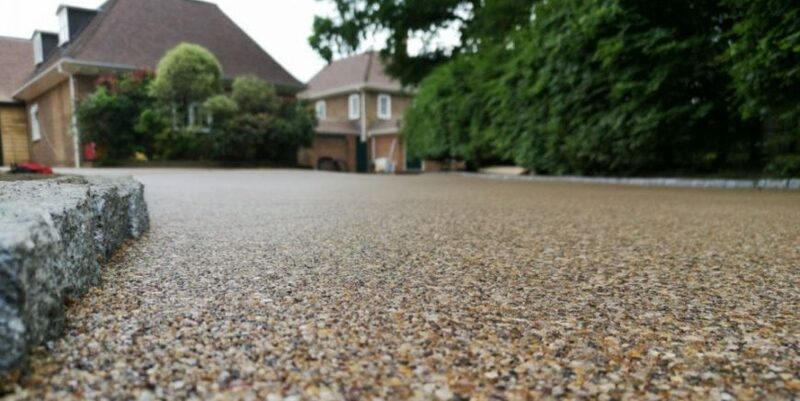 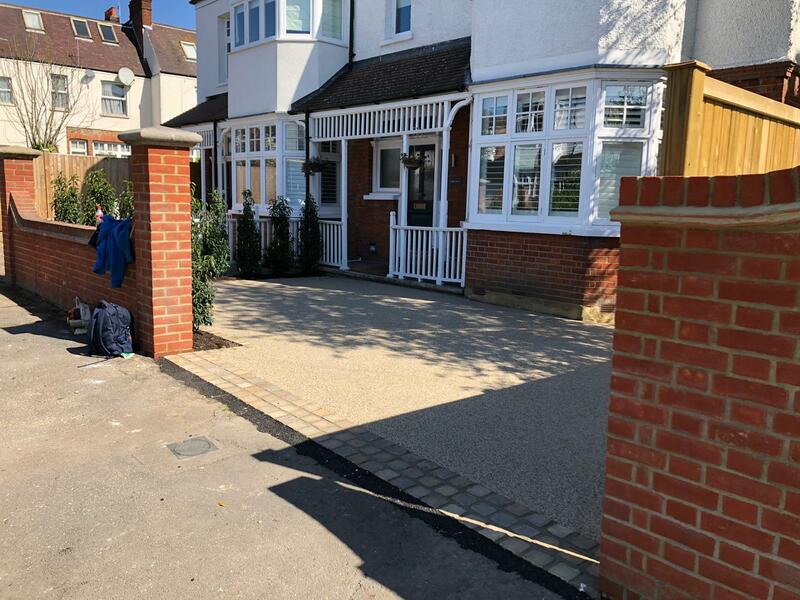 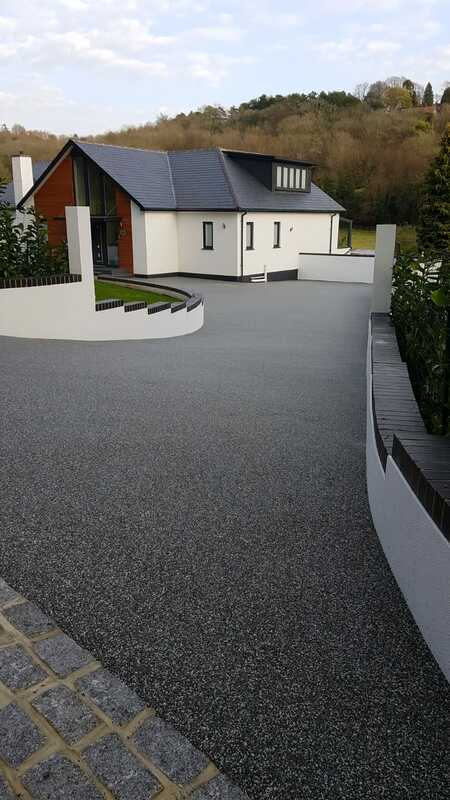 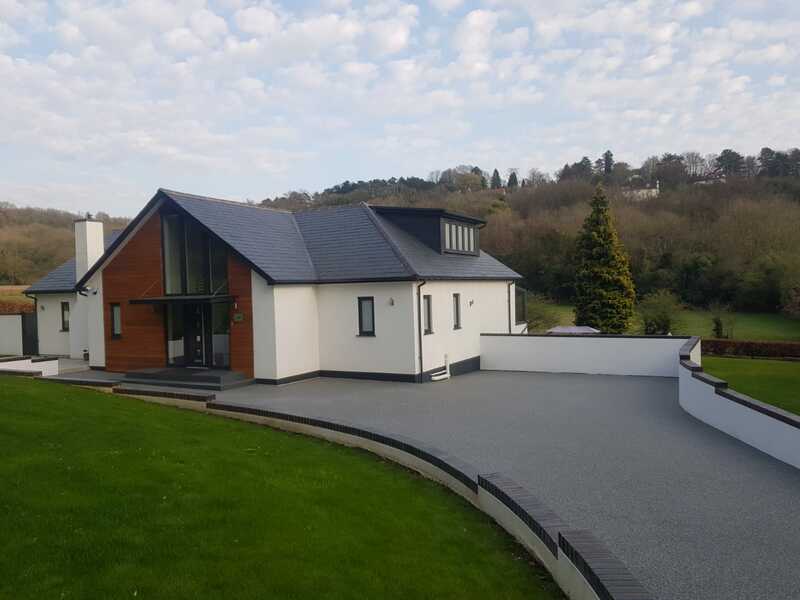 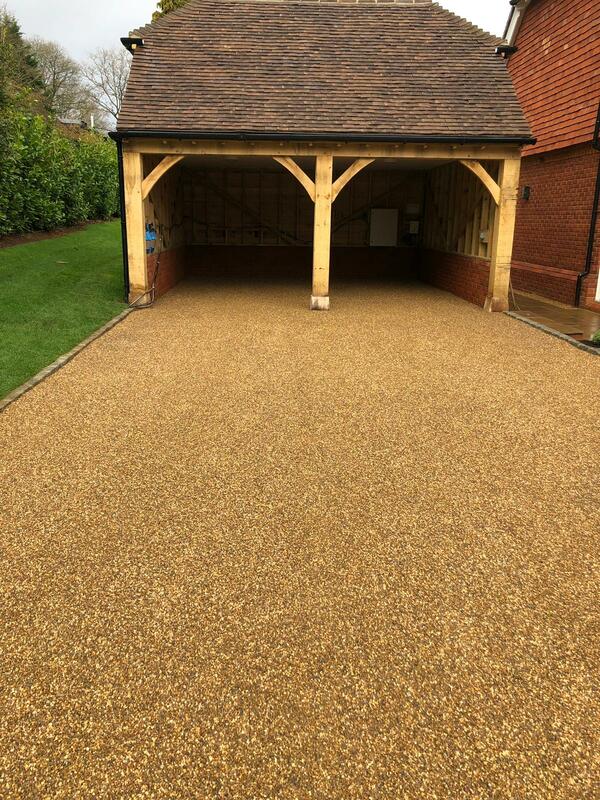 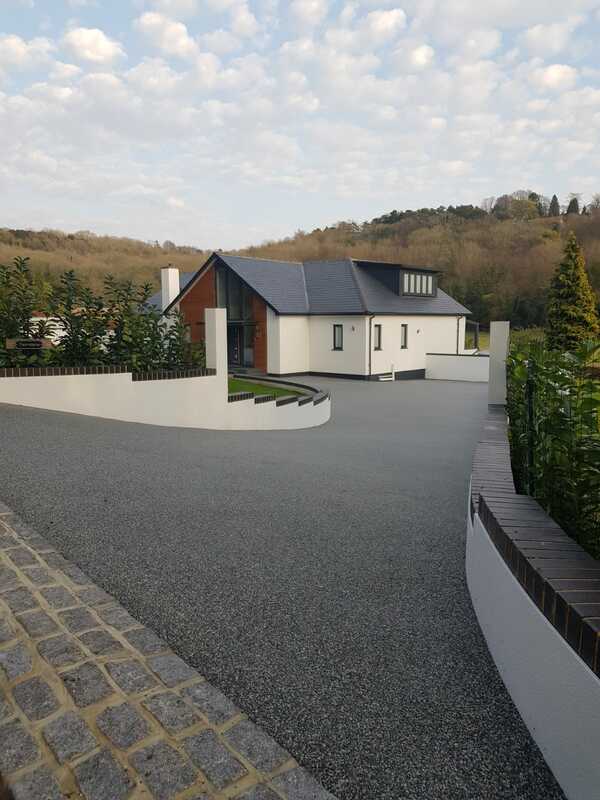 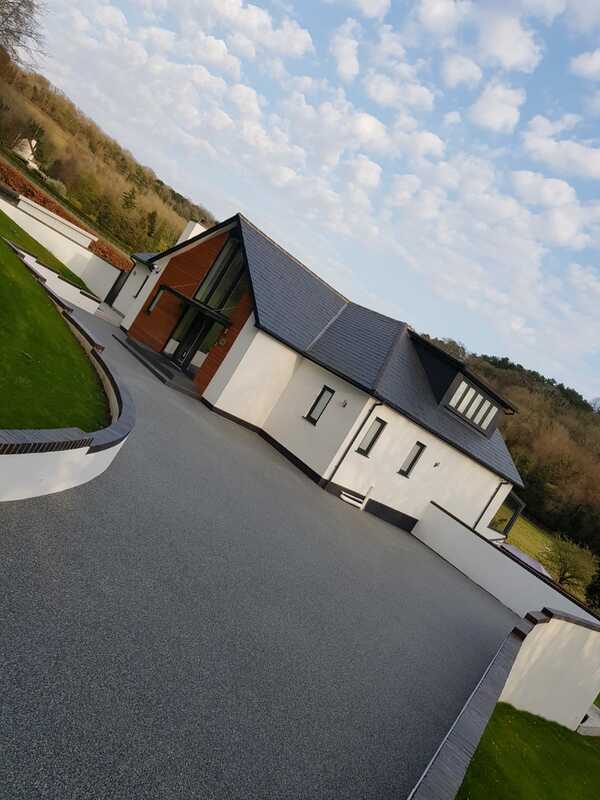 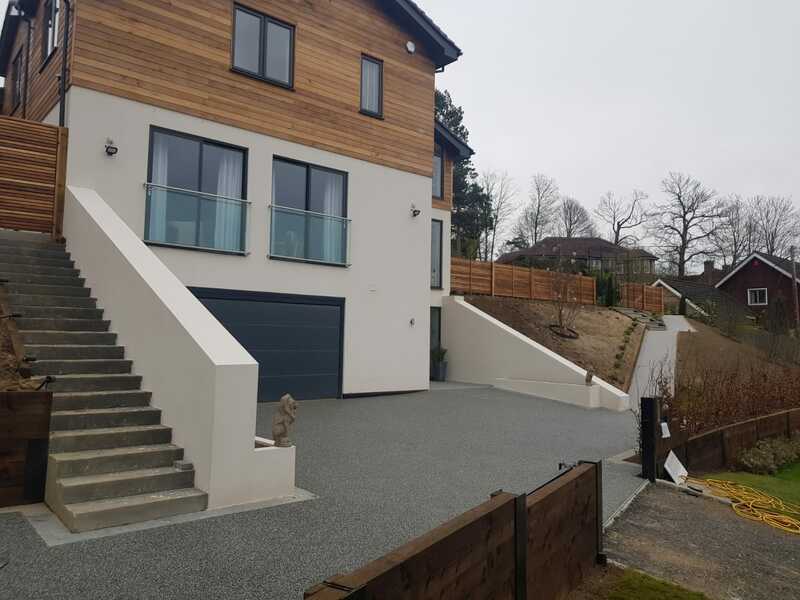 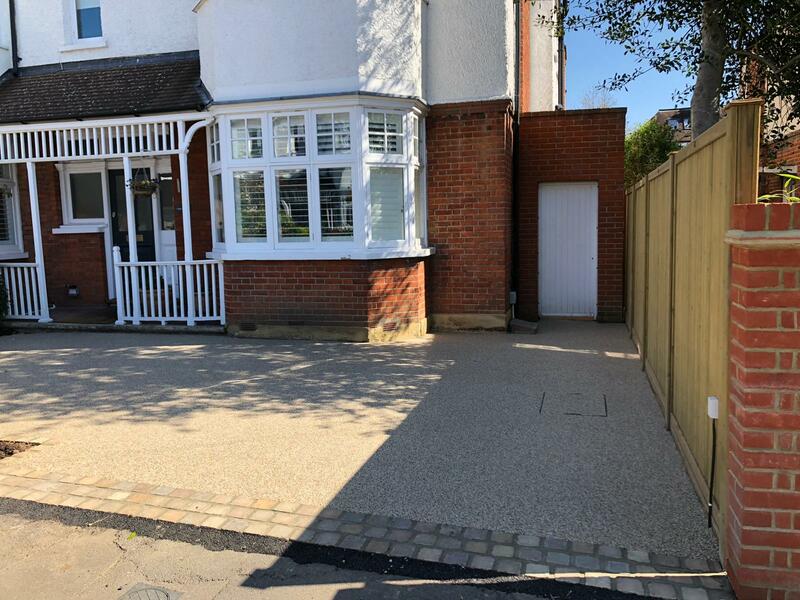 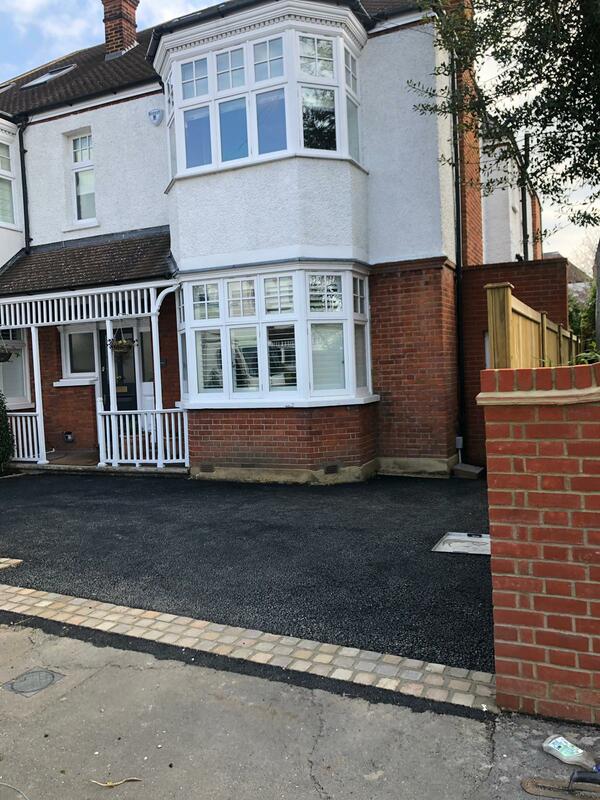 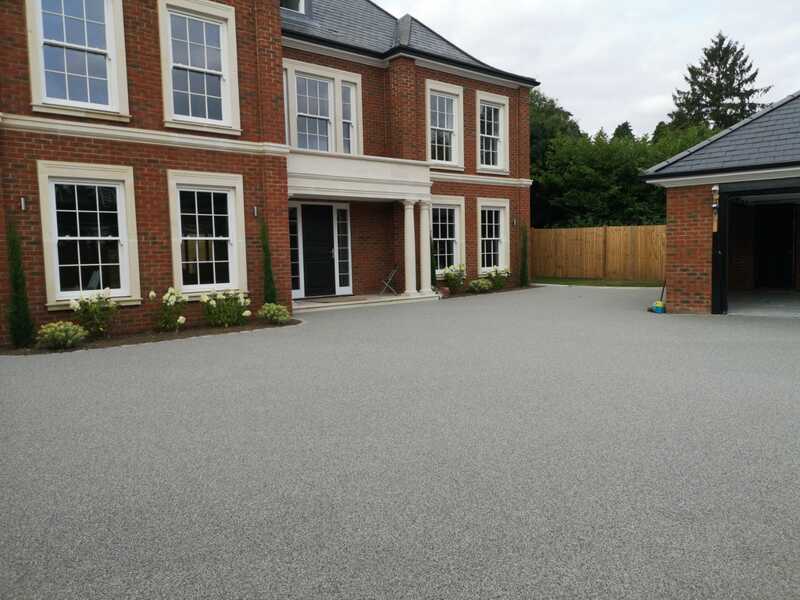 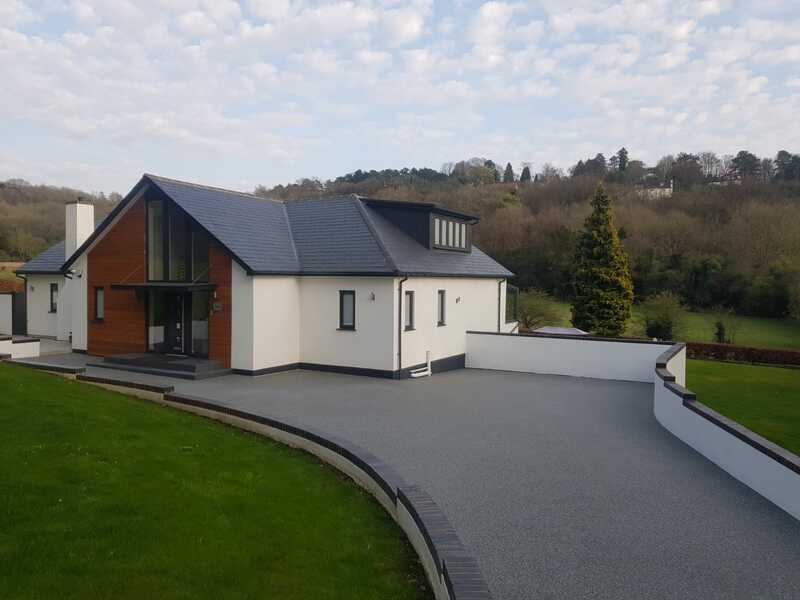 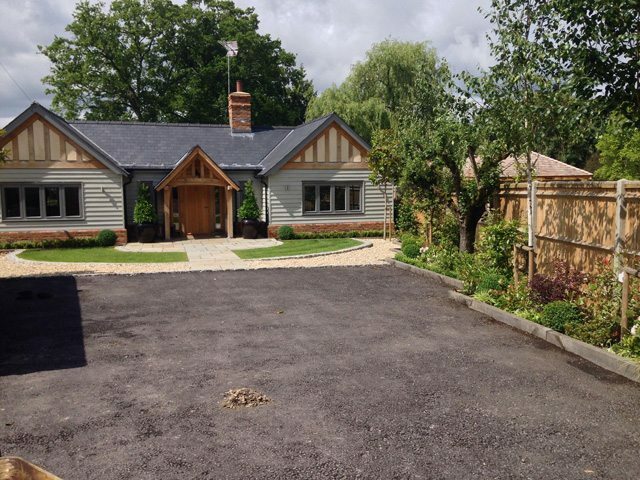 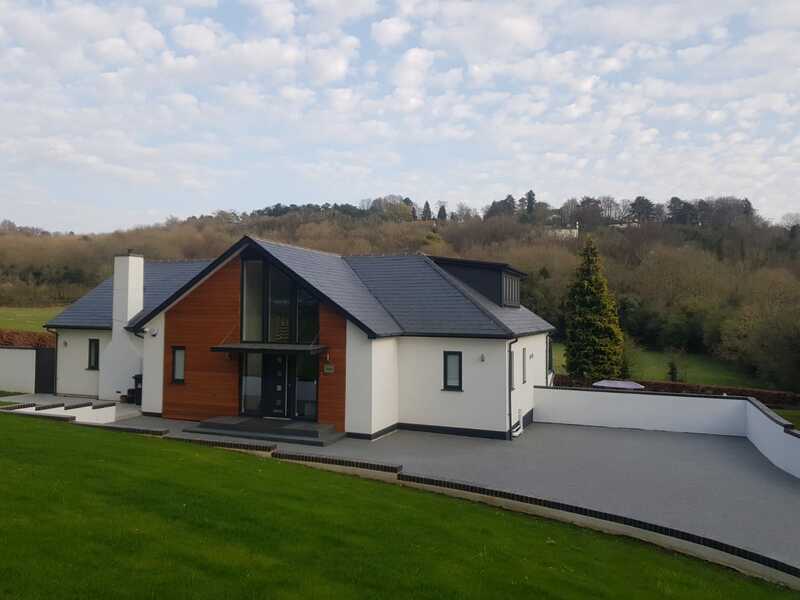 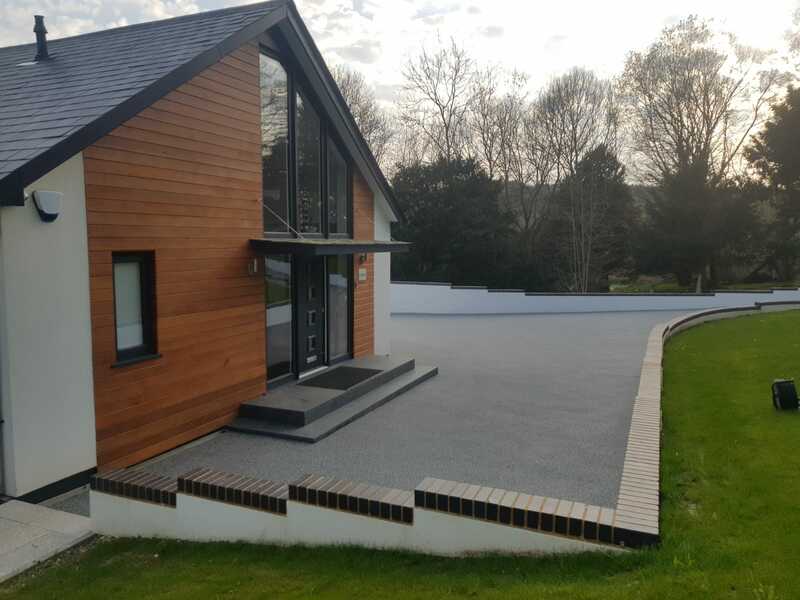 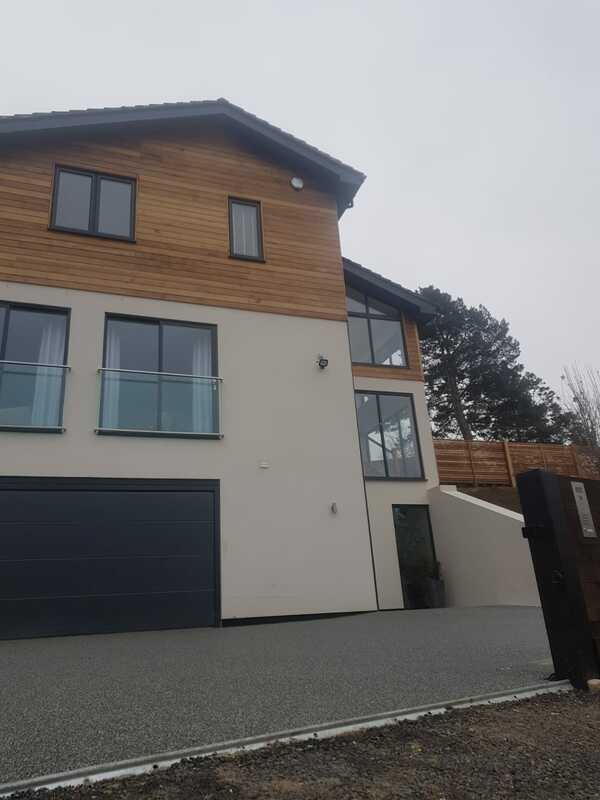 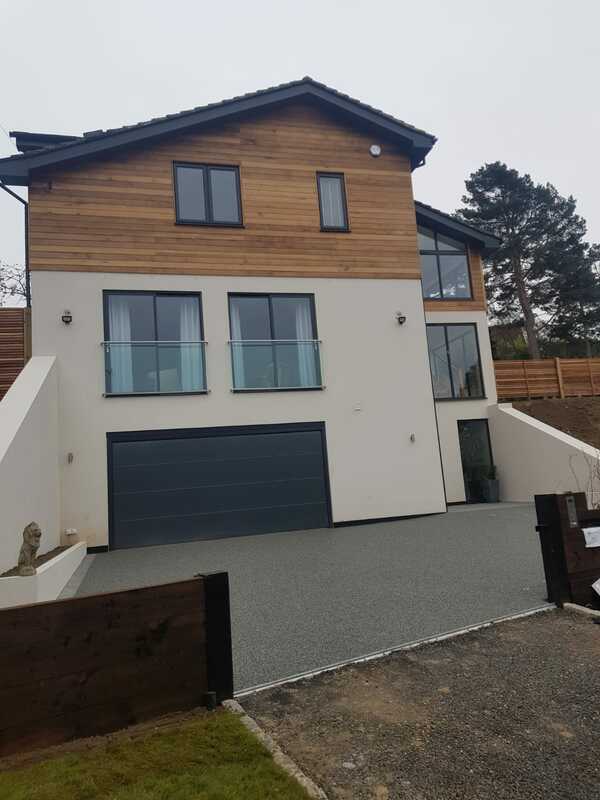 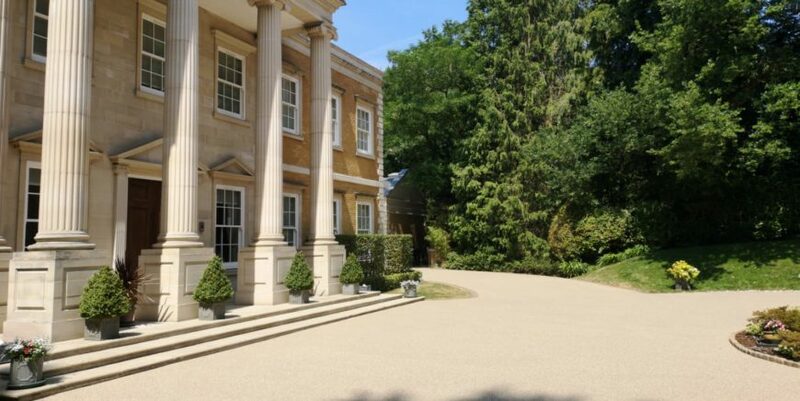 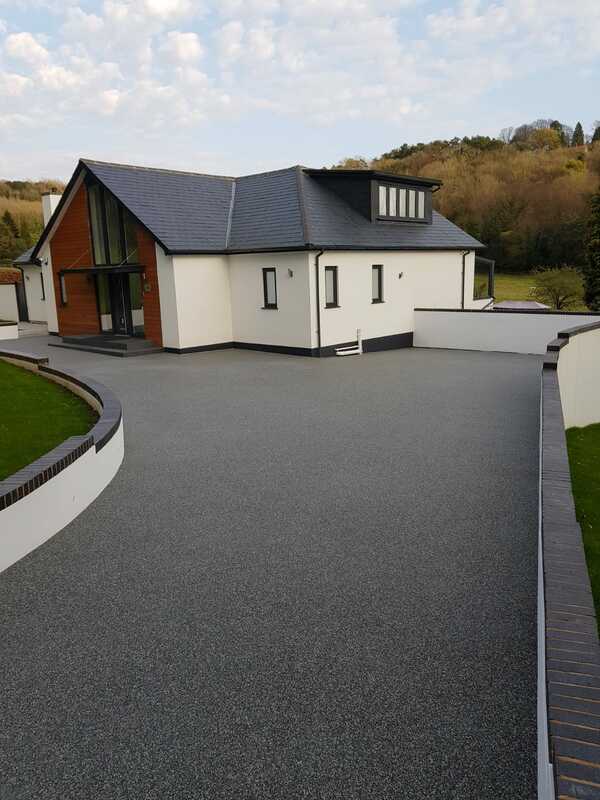 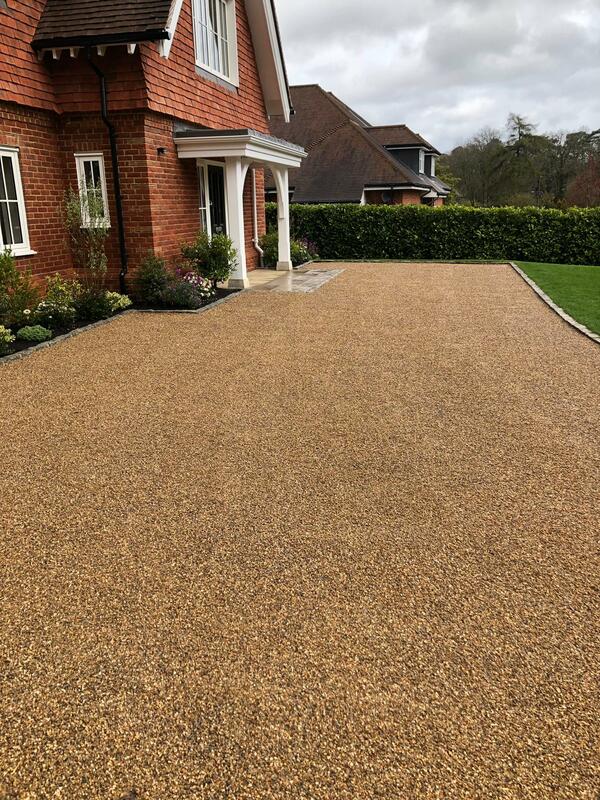 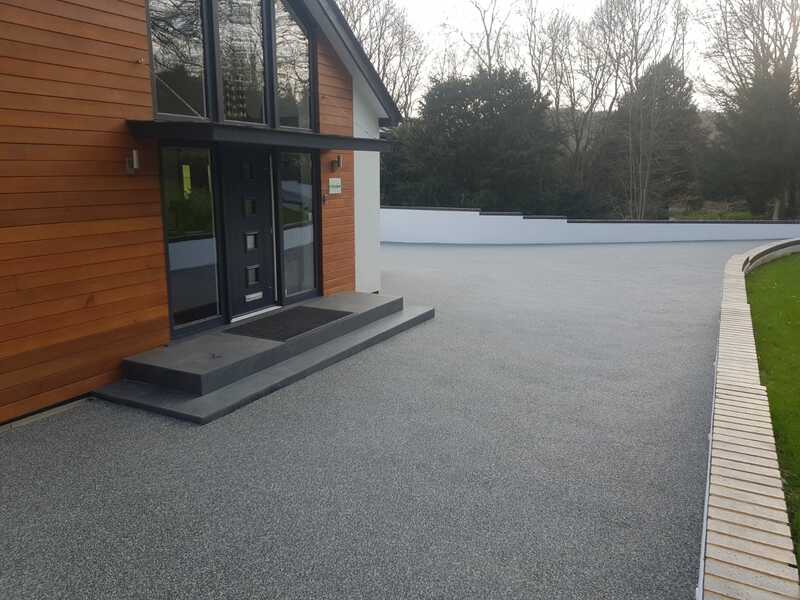 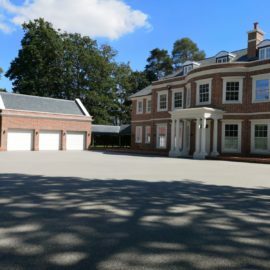 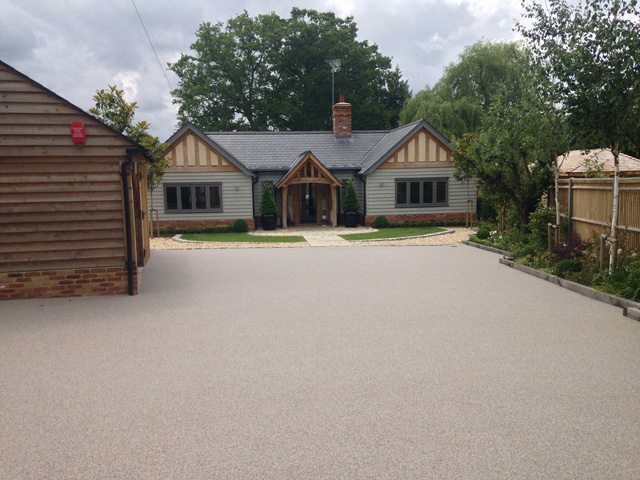 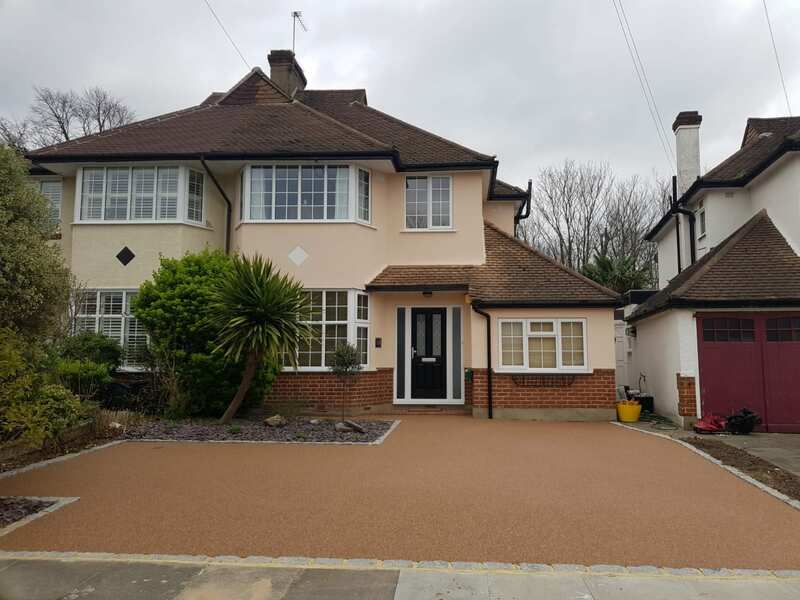 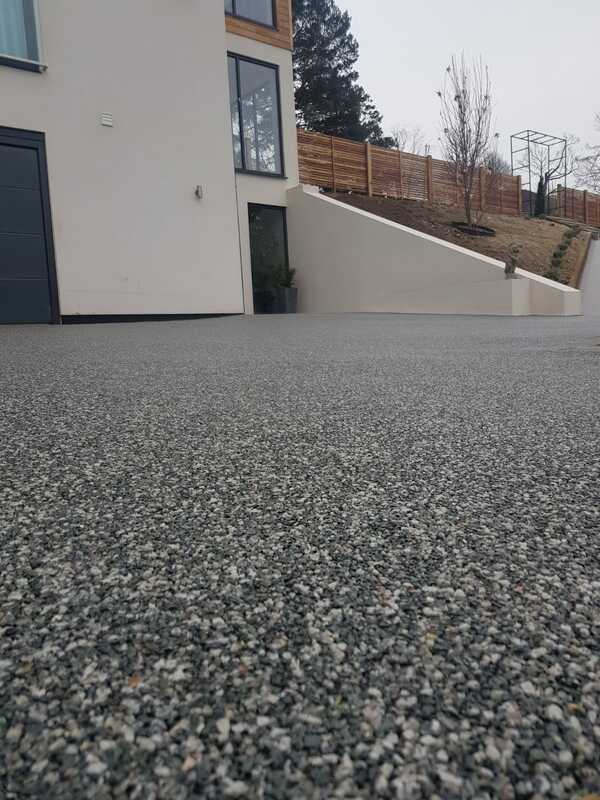 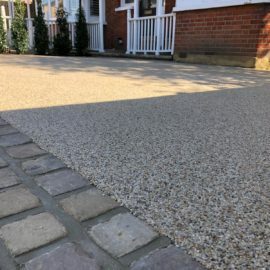 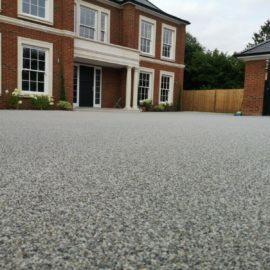 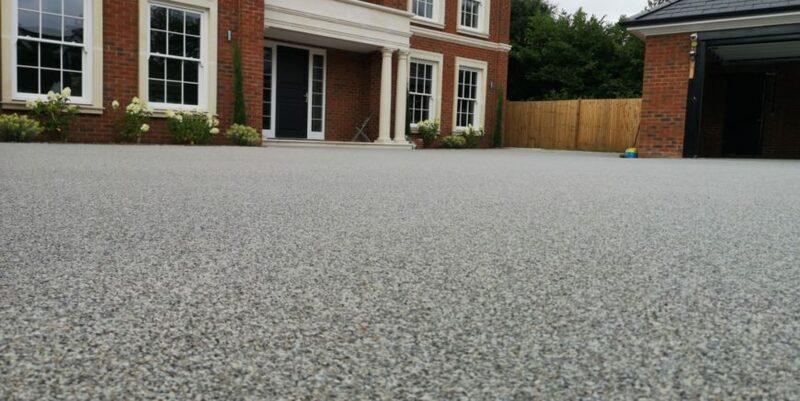 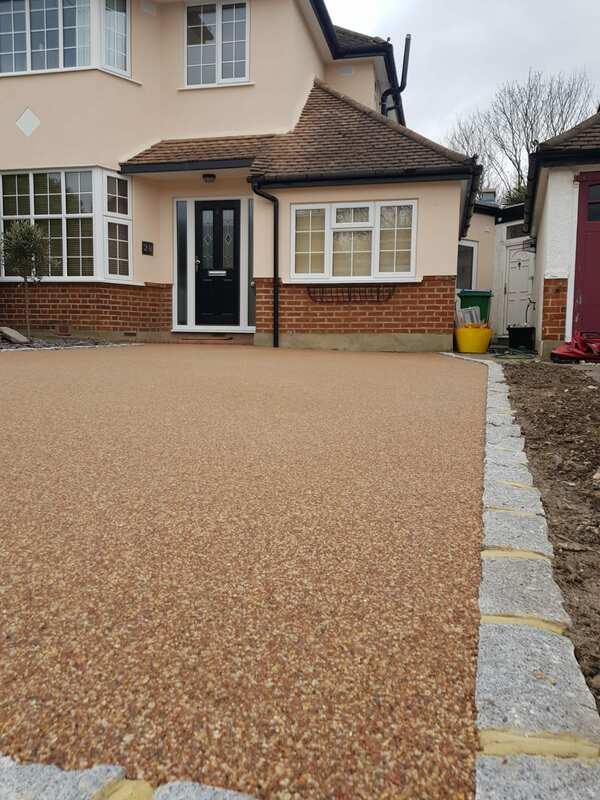 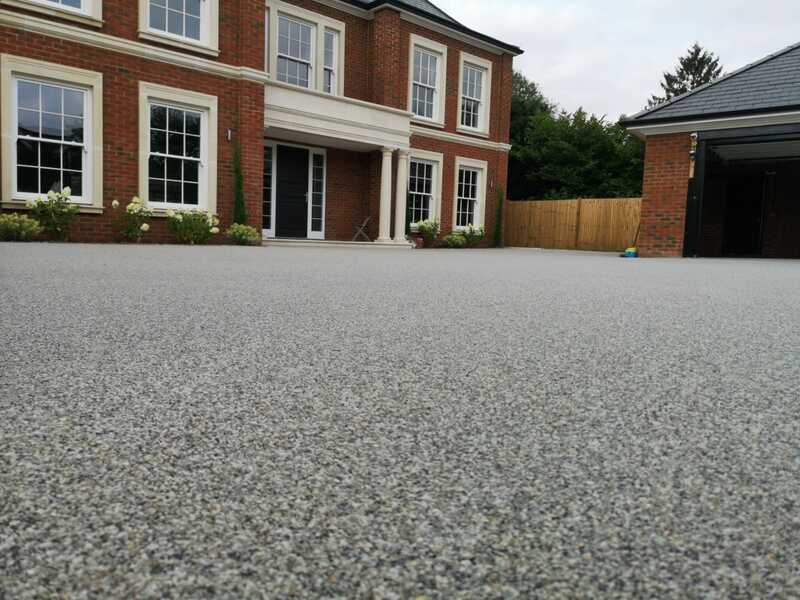 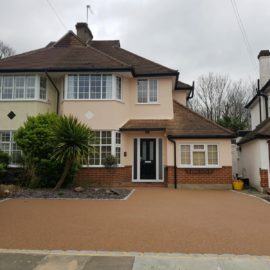 Although not the cheapest option for a driveway, resin bound driveways are becoming more popular due to their very low maintenance as well as being one of the best looking options. 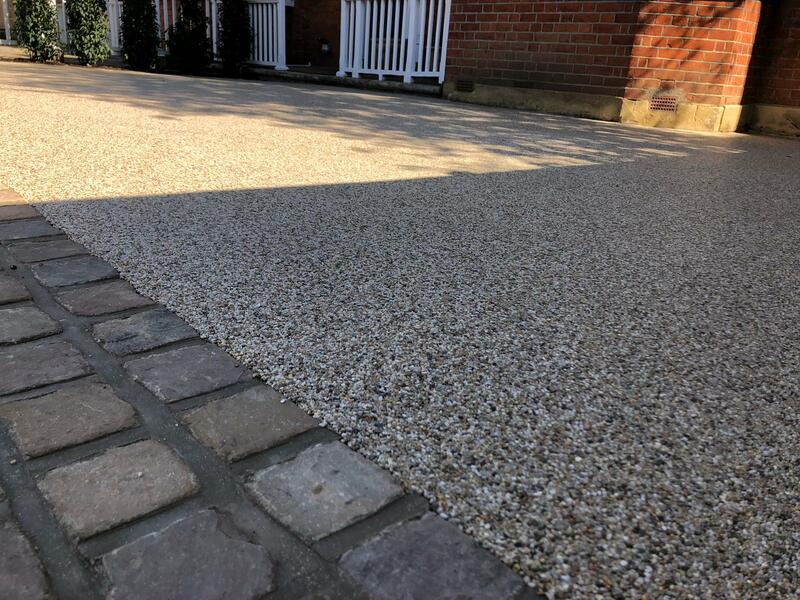 Call us today on 01932 590444 or email us to discuss your requirements and arrange a FREE quotation. 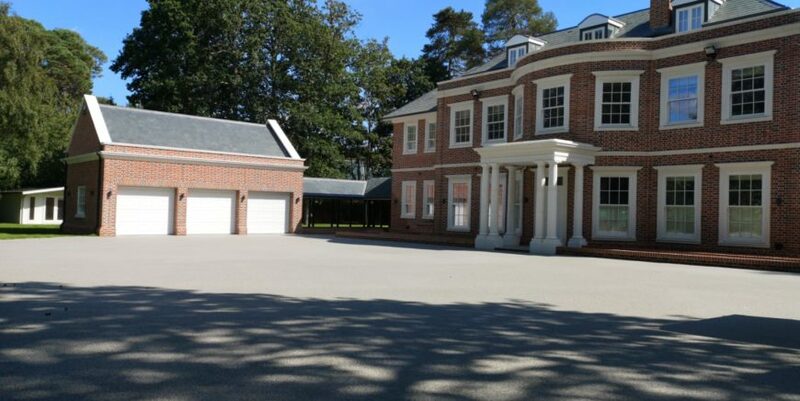 Site surveys available upon request.